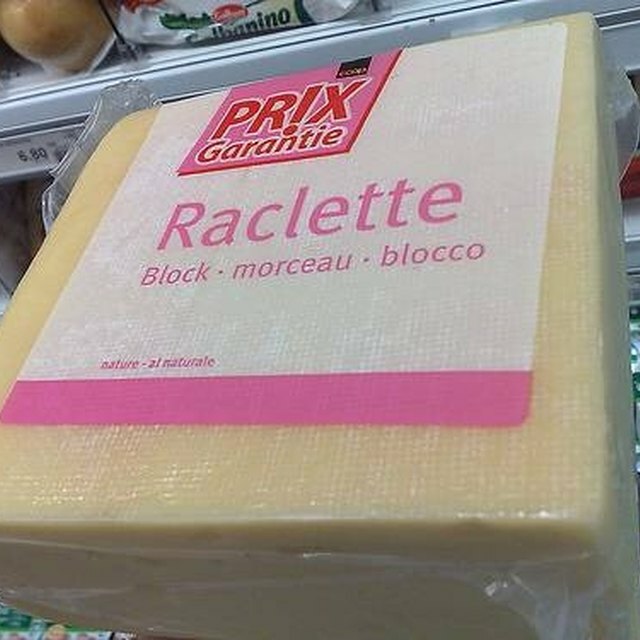 1 What Is Raclette Cheese? 2 What Types of Cheeses Are Unpasteurized? Cheese sticks are a dairy product of solid pieces of cheese made from a variety of cheeses such as mozzarella, cheddar, Colby or Monterey Jack and can be served cold or warm depending on the recipe or use. 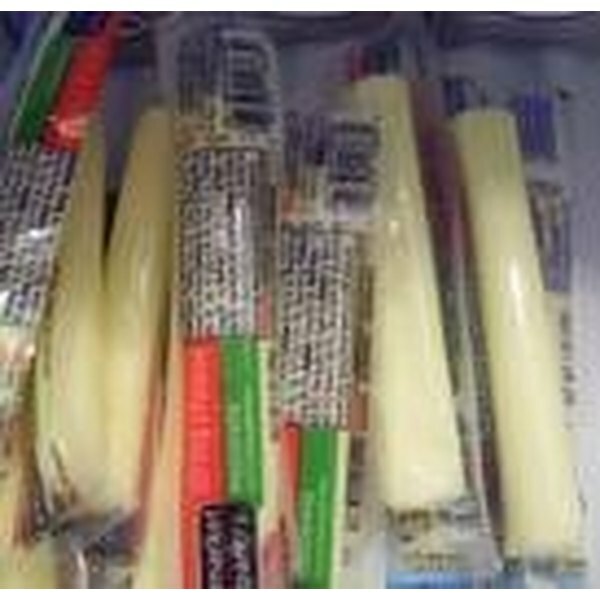 Cheese sticks typically come wrapped in airtight plastic that allows the cheese stick to stay fresh and not dry out. Cheese sticks should be kept in cool temperatures until consumption or use to avoid bacteria growth and spoilage. Cheese sticks are a popular food that is a mainstay as a snack food or appetizer for those who love cheese. Cheese sticks are a popular food especially among children who love them as a cold snack before and after meals. Cheese sticks are a dairy product and therefore fall under the five basic food groups, making them a healthy snack when consumed in moderation. Cheese sticks are a portable snack also, making them perfect for eating on the go or for school lunches. Although all cheese sticks are made from cheese, there are variations that come with many different cheese sticks. Some cheese sticks are marbled in texture, meaning they have two or more types of cheese within the stick. Some sticks are twisted and have one part mozzarella or white cheddar and the other part sharp cheddar or Colby. The twisted cheese sticks can be pulled apart and eaten separately or eaten together for a tasty combination. String cheese can also be pulled apart into strings and eaten or it can be eaten one bite at a time. Blocks of cheese can also be cut up into sticks for entertaining or certain recipes that call for cheese sticks. Frozen cheese sticks that are breaded include cheddar, pepper jack and mozzarella cheeses, most generally. Frozen cheese sticks are typically deep fried and are a popular appetizer at parties and restaurants. There are also cheese sticks that come in combination packs with pepperoni or Italian sausage and can be eaten side by side. Cheese sticks should always be refrigerated when not being cooked with or consumed. If cheese sticks are left out they can form bacteria and spoil, therefore making the person eating the stick sick. Cheese sticks can be left out at room temperature only if they are sealed from the air, not left in high heat and not left out for more than two hours. The time frame for deep frying a cheese stick is typically around three to five minutes when the oil is hot and bubbly; this makes for the outside breading to remain crisp as well as the inside to be soft and gooey and not overcooked. When melting a cheese stick in the microwave, 30 to 45 minutes on high heat is adequate time to allow the cheese to soften and melt. The size of a cheese stick is typically around 4 to 6 inches long and about a quarter of an inch in diameter. Twisted cheese sticks can be wider, depending on the brand of cheese. Deep-fried mozzarella sticks tend to be only 3 to 4 inches long because they are typically served as appetizers. Cheese sticks can be made larger and wider if they are cut from a large block of cheese; this is up to the discretion of the chef. If one is lactose intolerant he should avoid cheese sticks because they are made from milk and dairy. There are cheese sticks made from soy-based milk, but these sticks do not fall under the basic food groups for nutrition. Some cheese sticks, such as those stuffed into a breaded shell, are usually deep fried or baked at very high temperatures and therefore caution should be taken into consideration as one could burn her mouth and lips if the cheese is too hot. Trapped oil can also be a cause of mouth burns and irritation, if the cheese stick is consumed before it is allowed to cool off. Do You Put Glaze on a Duck After Deep-Frying?